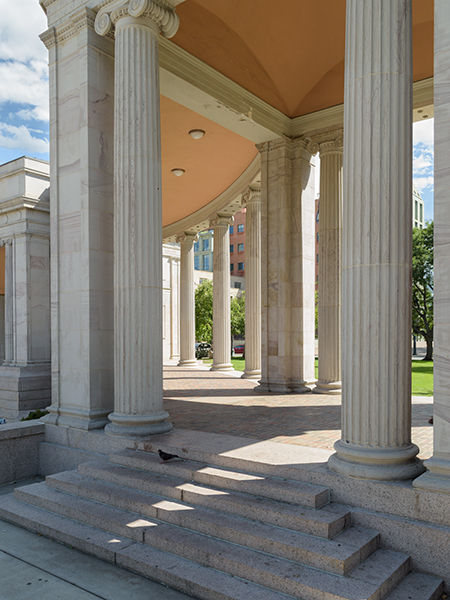 This monumental civic space situated in Denver’s center was conceived by Mayor Robert W. Speer. 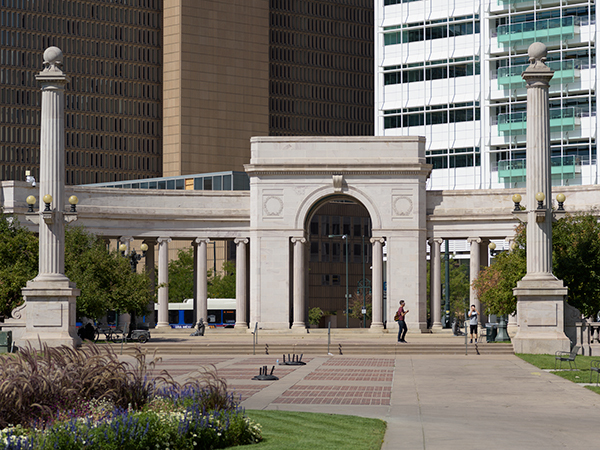 Speer hired George Kessler in 1907, who proposed an extension to Denver’s park and boulevard system that placed the park and plaza at its heart. 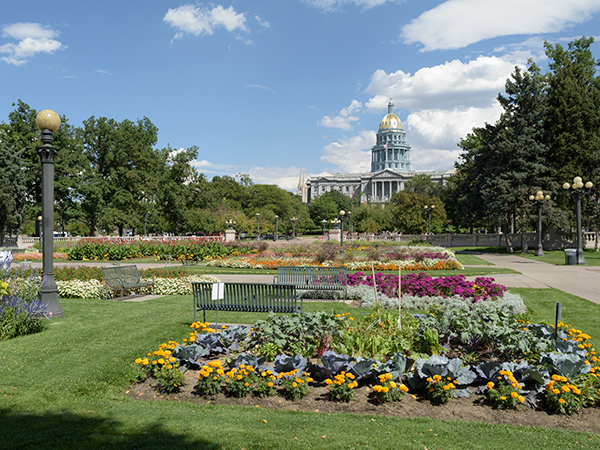 That same year Frederick MacMonnies visited Denver to develop a Pioneer Monument and proposed extending the state capitol’s existing grounds westward to create a 33-acre City Beautiful park. 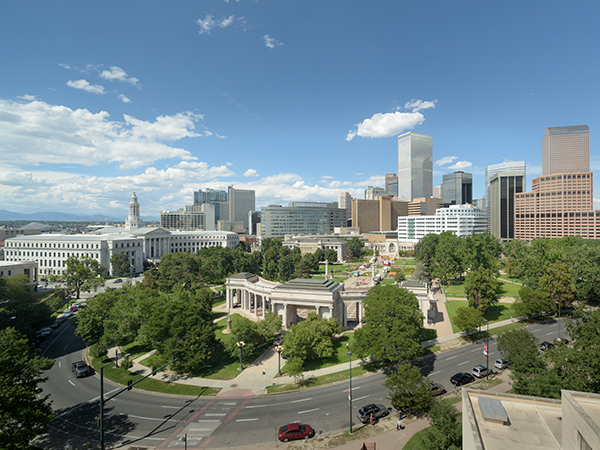 While working on Denver’s mountain park system in 1913, Frederick Law Olmsted, Jr. and Alfred Brunner presented a park plan which was rejected. In 1917, Edward H. Bennett created the park’s lasting master plan, implemented with city landscape architects S.R. De Boer and Reinhard Schuetze and incorporating successful elements from the MacMonnies and Olmsted-Brunner plans. Opened in 1919, Bennett’s Beaux-Arts design was structured upon two cross-axes. 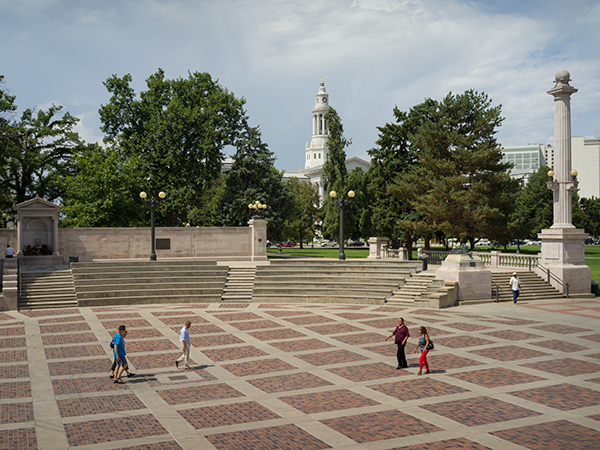 The east-west axis, four blocks long, connects the Colorado State Capitol with the City and County Building. The secondary, north-south axis terminates in apses that project into the street grid, forcing the realignment of Colfax and 14th avenues. 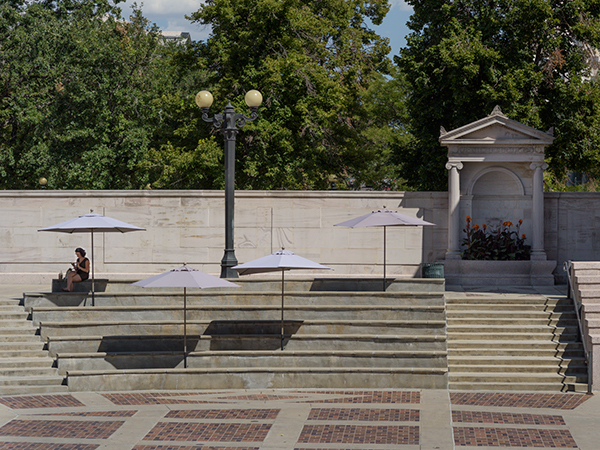 On the southern terminus sits an amphitheater backed by an Ionic-order colonnade, mirrored on the north end by a colonnade and pond. 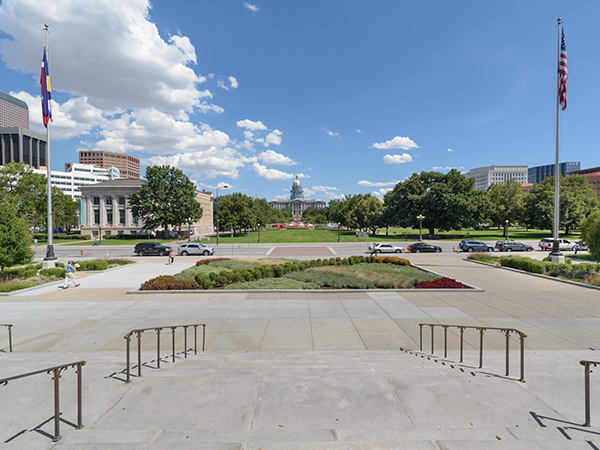 The park is characterized by open swathes of lawn laced with symmetrical paved walks, formal flower beds, rows and informal clusters of trees, and numerous memorials. 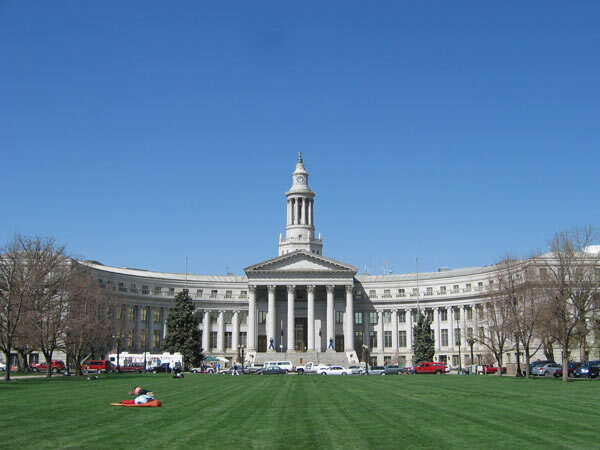 It is ringed with cultural and governmental institutions designed in neoclassical or more recent architectural styles. 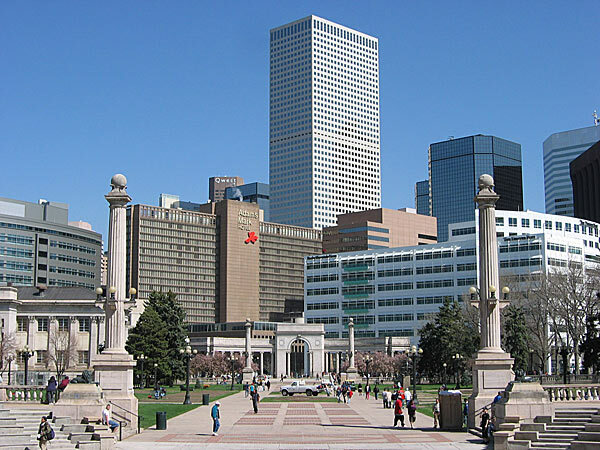 The City Beautiful core was designated a National Historic Landmark in 2012.